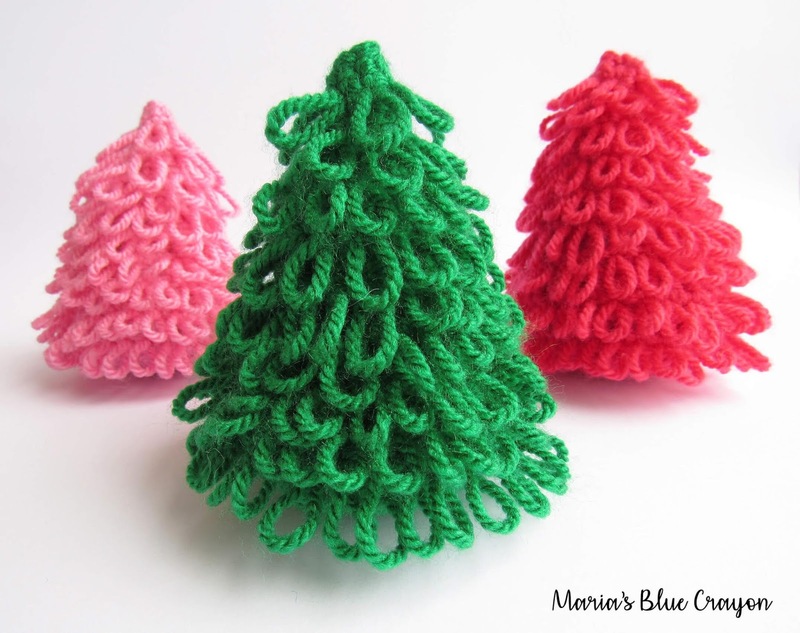 Scroll down for the Free Mini Christmas Tree Crochet Pattern! Last year, I had the wonderful opportunity to design some fun Christmas decorations for LoveCrochet using their Paint Box yarns! 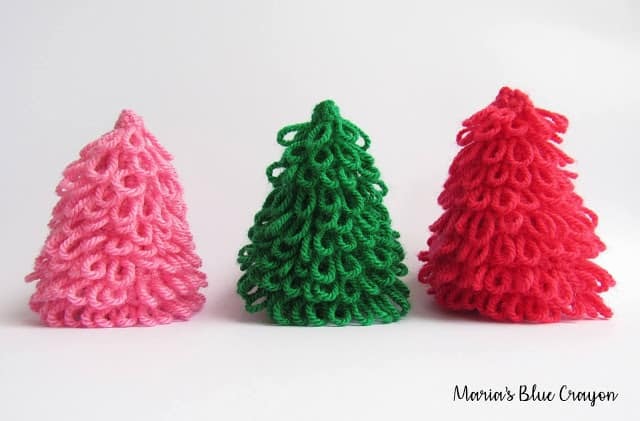 I designed some cute mini Christmas trees that are perfect for decorations during the holiday season. This year, I’m sharing the crochet pattern with you for free! 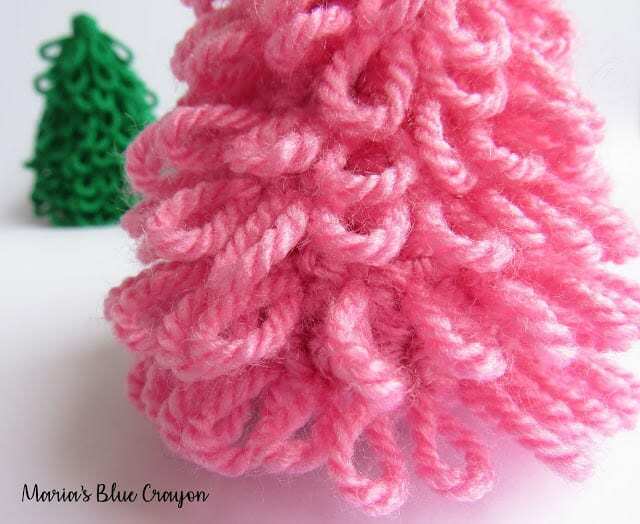 These trees are quick to make and fun too! The color options can be very personalized here according to your other holiday decorations. I went with fun, bright colors but of course you can tone it down with neutrals or dark muted tones. Or just go traditional with the green! These mini Christmas trees are only about 4″ high, so making a couple and setting them together would be super cute for a mantle or an addition to a centerpiece for the table! Another idea is using a bulky weight yarn and a bigger hook size to make a bigger one! 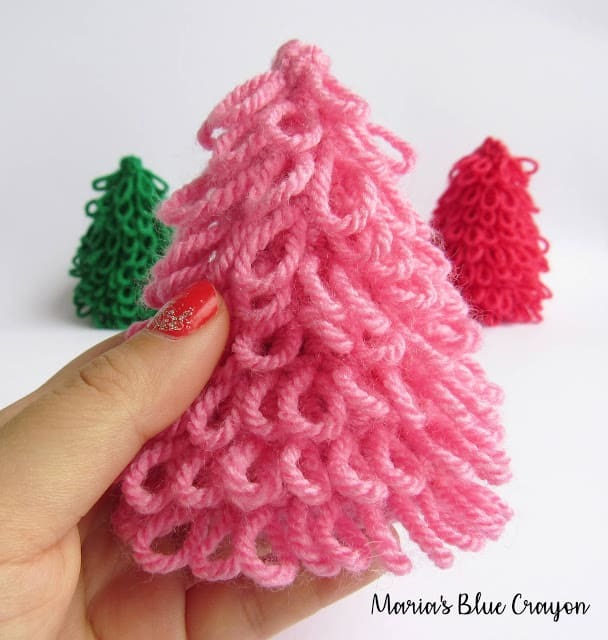 These crochet Christmas tree decorations use single crochet and the loop stitch, which once you see how it is done – you will pick it right up! The texture is so fun and you can even adjust how big you want your loops to be! I don’t have a video tutorial that I have made for JUST this stitch. However, I have covered this stitch in past tutorials for my Christmas Granny Square Afghan. You can see how to make this stitch in this video that I made of a 2D Christmas Tree Applique. Or you can click here to watch it on YouTube. PIN IT TO YOUR CROCHET BOARDS ON YOUR PINTEREST BOARDS. Sharing my patterns in any way you can really helps my blog going! Thank you! After Round 4, we will turn our work. This must be done so the loops from the loop stitches stay on the outside. Loop stitch is worked as follows: (hold the working yarn around your index finger) insert hook into stitch, grab the yarn from behind the index finger as well as the yarn in front of the index finger, pull up a loop (at this point you can pull the working yarn to make the loop on the backside of the work smaller or pull the loop to be bigger), yarn over, pull through all loops on hook. This will create a loop on the backside of your work.